AbbVie, the global biopharmaceutical company, has been presented with the Ibec KeepWell Mark. The award is an evidence-based accreditation given for Irish employers who significantly investing in workplace health and well-being. AbbVie, which employs more than 700 people across five commercial and manufacturing sites in Ireland, is one of first biopharmaceutical/pharmaceutical companies to receive the workplace health and well-being accolade. Ibec states that the aim of the award is to help businesses benchmark workplace well-being activity through a series of systematic and methodical steps. 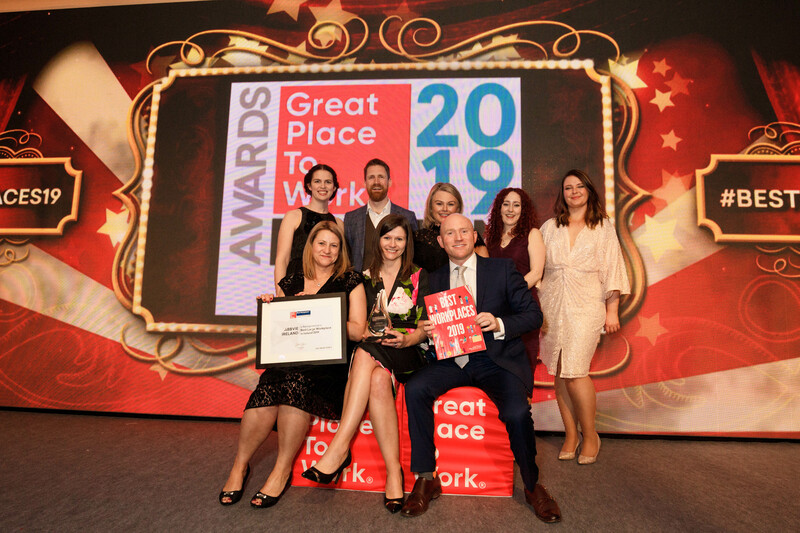 This focus on industry leading employee wellbeing also contributed to AbbVie being named as the No.2 Best Large Workplace in Ireland at the recent 2019 Great Place to Work awards. The company co-ordinates its approach to employee health and wellbeing through a programme titled ‘AbbVie Vitality’. This initiative includes resources and tools which encourage a holistic approach to health and its success has been based on the company providing organisational support for employee proactivity on managing their personal well-being. Commenting on the receipt of the KeepWell Mark, Miriam Cunningham, Occupational Nurse with AbbVie and Vitality Lead, said the company continuously looked for ways to help its people balance their work and personal lives. “We have improved and coordinated a number of wellness projects over the past number of years to so that we can create a safe, secure and pleasant working environment for all of our people. “The Ibec KeepWell Mark provides us with a fantastic evidence-based framework, enabling us not only to benchmark our wellness initiatives against our peers but also helping us to progress in areas that provide the most impact for our people and business,” she added. The KeepWell Mark framework includes a self-assessment and an onsite assessment from an Ibec approved external assessor. The accreditation takes a holistic approach focusing on eight key areas of potential improvement that can affect business performance –leadership; absence management; smoke free; physical activity; health & safety; mental health; healthy eating. Each assessment culminates with a report that outlines areas for improvement. During the same month the Biopharmaceutical company has also been recognised as one of Ireland’s Best Workplaces for Women and received a Great Place to Work ambassador accolade. AbbVie was listed as the No. 2 Best Large Workplace in Ireland 2019 at the workplace awards ceremony. It remains the highest placed company in the biopharmaceutical/pharmaceutical industry across all categories. Caroline McClafferty, Director of Business Human Resources for Manufacturing Engineering Services with AbbVie, was also the recipient of the 2019 ‘Great Place to Work Ambassador’ award. The Great Place to Work Institute assesses the policies and practices in place in organisations under nine key areas, including employee development, hiring practices, recognition and communication. It then benchmarks these against other organisations in each country. AbbVie scored exceptionally highly across all areas at its sites in Dublin, Cork and Sligo. AbbVie delivers world-class discovery, production and supply of critical medicines. The company has a significant footprint in Ireland that is focused on novel and breakthrough therapies for tough-to-treat diseases and unmet medical needs, with a reputation for quality. Ms McClafferty said she was delighted that AbbVie had once again been recognised by the Great Place to Work Institute as a company that has invested in fostering a high trust, innovative and inclusive workplace culture. The Great Place to Work Institute also recognised AbbVie as a Best Workplace for Women at the awards event. 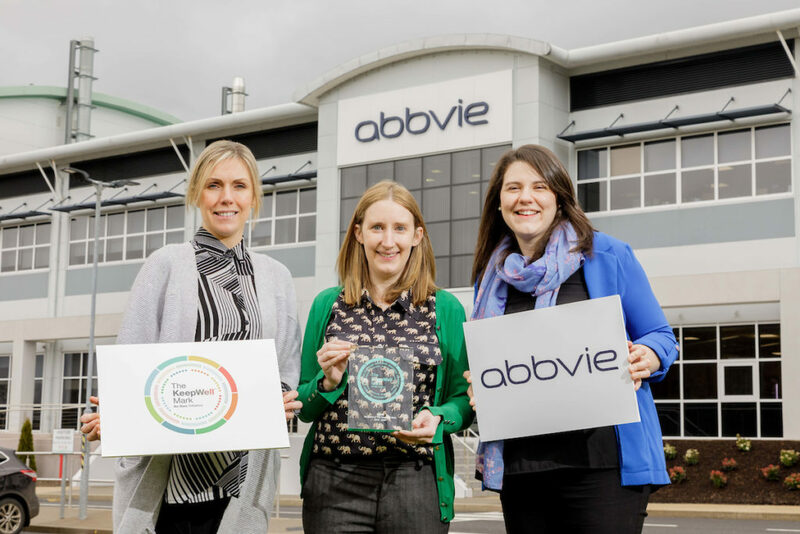 This is the first time the Institute has awarded the accreditation to businesses in Ireland and AbbVie is one of only 13 companies to receive the prestigious honour. The programme recognises top organisations which, while providing a great work environment for everyone in general, are also creating positive and supportive workplaces for women in particular. AbbVie’s Associate Director of HR in Ireland, Samantha Commons said the second place ranking and individual awards represented a strong endorsement of the company’s commitment to continually investing in the on-going development of its employees. In 2018, a particular focus was placed on talent-development, diversity and inclusion, health and well-being and providing employees with opportunities to engage with their local communities. The Institute publishes three different lists: the Best Large Workplaces in Ireland (>301 employees), the Best Medium Workplaces in Ireland (101 to 300 employees), and the Best Small Workplaces in Ireland (20 to 100). Companies are ranked in order on each of these lists primarily on the basis of the confidential input from the employees. Two-thirds of each workplace’s score comes from the results of the Trust Index Employee Survey, with up to one third of the remaining marks based on a thorough assessment by Great Place to Work of a company-wide Culture Audit. CEO of Great Place to Work Ireland, John Ryan paid tribute to all companies who were recognised this year. “Securing a place on the list of Best Workplaces in Ireland is a greater achievement than ever before. Even though we’re dealing with an unprecedented level of economic and political uncertainty, these Irish organisations are ready to deal with the challenges: they have built agility and plasticity into the core of their workplaces, developing the high levels of trust that are critical for adaptability. “Today’s workplace is a partnership, creating the future in tandem. It’s inclusive and has diversity at its core. It’s a really exciting place to be, and I’d like to congratulate each and every organisation that has achieved the goal of creating truly sustainable, high trust workplaces all across Ireland,” he added.